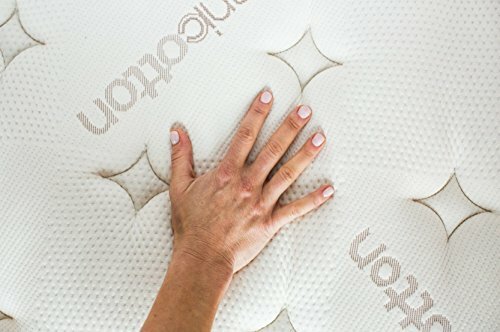 Winkbeds vs Saatva Compared: Which Mattress Brand is Best? There is a rebellion unfolding in the United States and it is not about the widening gap between the left and the right. It is a rebellion stoked by Americans of all political ideologies because for once, the discussion is not about mind-numbing politics, but how we buy our mattresses. The rebellion is led by American consumers that have grown tired of bedding stores dictating the terms of mattress purchases. With the Internet giving consumers more freedom than ever, it is no surprise to learn the mattress industry is the focal point for consumer frustration. Outside the purchase of a new home or car, no other purchase decision is more personal than the one that decides what mattress we want to sleep on for the next 10 to 20 years. Assuming we live to the current average lifespan of 78, we can expect to spend about 26 years of that lifespan sleeping. Rip Van Wrinkle would be proud. The fact the mattress buying process in one to take seriously is not a concern for consumers, but it has become one for mattress manufacturers. Fortunately, Winkbeds and Saatva have joined a growing movement in the mattress industry to give more design control to consumers. This comparison article examines the signature mattress designed by both manufacturers, as well as educates readers about the factors involved in making a mattress buying decision. We end the article by adding a few helpful mattress shopping tips. Just like the purchase of a new car or home, buying a mattress involves using a highly subjective set of criteria. Five people lined up to purchase a mattress at a bedding store customer service counter can have five dramatically different reasons for choosing a mattress. Some people sleep hot, some people sleep cool, and some people sleep all over the place. Let’s review five sure-fire mattress buying factors that should be on every consumer’s list. Mattress comfort: that hard to define the word for everybody because it means different things to different consumers. For years, mattress manufacturers did not have a reference tool to help consumers determine where they stood on a mattress comfort scale. You still do not have a mattress comfort scale, but manufacturers now use a color chart to guide consumers to the right mattresses. Comfort covers several mattress attributes, from the firmness level of the foundation layer to the super soft feeling of the first memory foam layer. Sinkage, edge support, and motion transfer all play significant roles in determining mattress comfort. Temperature is another mattress comfort factor, but the importance of body and mattress temperatures deserves its own section. We have three primary ways to sleep, but within each sleeping style preference are numerous more variations that contribute to a mattress buying decision. Back sleepers can move one arm behind the head, spread the legs, turn the neck to the side, or point closed eyes towards the ceiling. Side sleepers can sleep with legs tucked close to the chest or stretch the legs over the end of a bed. Stomach sleepers can place the arms near the head or at the side. How do we account for sleepers that start on the back, but eventually make a 180-degree turn throughout the night to end up sleeping on their stomachs? Such are the questions for sleep positions and the questions are important ones to ask for determining the type of mattress to purchase to get a good night’s sleep. Many bedding experts recommend consumers answer the mattress size question first, before moving down the checklist. We are not as adamant about where you place the mattress size question; we are adamant the size question must be answered before you slap a credit card down on a counter. Mattress size refers to the width, which means twin and full mattresses work best for single sleepers, while queen, king, and California mattresses work best for couples. However, if you are an active sleeper that sleeps alone, you might want to move up a size or two to accommodate your body movements at night. With the trend towards mattress customization, a growing number of manufacturers-especially manufacturer that sells directly to consumers-allow for size customization. Our bodies undergo subtle, yet perceptible temperature changes during sleep. Yet, the changes differ among us. You might start off lukewarm and then really heat up when you begin the transition into deep sleep. Blanketed by thick covers, your partner might start off the night feeling toasty, only to wake up hours later feeling uncomfortably cool. Gel infused memory foam mattresses cool overheated bodies to keep the sleep train rolling. Preventing airflow between a transitional layer and base layer allows a mattress to trap body heat to warm up cool sleepers. It is important to understand how every mattress on your short list influences your body temperature. We recommend consumers set budgets for buying mattresses, but you never want price alone to dictate your buying decision. A mattress is much too important to your mental and physical well being to sacrifice quality just to save a few dollars. Write down the cost of the standard version of a mattress you like, and then add the cost of mattress features until you begin to inch towards the budget ceiling. We suggest prioritizing the mattress features you want to get a good idea of what features you can do without when price becomes an issue. You also want to compare the warranties and free home trial periods offered by the mattress manufacturers that have made your short list. Founded in Watertown, Wisconsin, Winkbeds promotes its proud America made heritage online and in bedding retail stores. The mattress manufacturer uses only materials sourced from American plants and eliminates the middleman by selling directly to consumers. With a streamlined distribution process, Winkbeds claims it passes on the savings of using the highest quality memory foam. Customer mattress reviews generally praise Winkbeds. Winkbeds for delivering on its cost-saving promise. The question is do consumers benefit from more than saving a few bucks. Winkbed addresses first layer contouring by not creating one, but two first layers of designer foam. The two first layers combine to produce two inches of Euro pillowtop comfort. The automatic contouring of the super soft first two layers provides serious pressure relief, which makes the Winkbed mattress ideal for consumers that need help reducing flare-ups in the neck and back. Stabilizing gel foam found in the third transitional foam layer prevents motion transfer from becoming a major issue. This means you sink into the first two layers, while the transitional layer prevents the type of further sinkage that causes the dreaded rippling effect. The two and a half inch transitional layer fosters breathability and a slight bounce, which we like to call a nice recovery. The support your body needs to remain relatively still takes place with the high-ILD perimeter foundation layer. As the fourth and final comfort layer, the base layer generates the upward force sleepers need to provide back, neck, and shoulders support. The best feature of the thick foundation layer is the incredible edge support, which makes it easier for you to get in and out of bed. Sleepers carrying above-average weights do not have to rise at a 45-degree angle and then turn over to get off the mattress. You simply roll off the firm edge onto your feet. Technically referred to as the first layer, we like to give mattress covers an entire section of coverage. From encouraging airflow to creating the ultimate in super smooth softness, the cover is the first impression you can expect to feel when you hop on a mattress. The WinkBeds Mattress For Sale – Best Rated Mattress – Mattress Warehouse – Foam Mattress + AirSprings + Gel Hybrid, 100% CertiPure, Medium Firm Mattress Like Hotel MattressWinkbed cover feels silky smooth because Tencel represents the primary fiber used to design the fabric. Tencel is a botanical derived fiber from the Eucalyptus plant. Moisture-wicking technology and the natural cooling effect ensure hot sleepers can find their cool comfort zones. Certified by OEKO-TEX and the Forest Stewardship Council, Tencel pulp is produced in responsibly managed forests that prevent stripping the land of much-needed tree root irrigation. The Winkbed mattress ranks at the high end of the firmness scale, which runs from one to 10. As the most recent version of the signature Winkbed mattress, professional testers found the highly supportive foundation layer to produce a firmness rating of 8. The higher than average firmness rating allows Winkbed to create a special niche among sleepers suffering from lower back pain. Winkbed reduces the density of the first two layers to develop more pressure relief than what you would expect from two layers that combine to barely reach two inches thick. The result is contouring that stabilizes the entire area of the lower back. Reduced stress and tension helps sleepers with chronic lower back pain to discover the best position to sleep on their backs. When you wake up after a night of restful sleep on the Winkbed mattress, you will immediately notice a surge in your energy level. Beneath the lumber pad of the third layer is a tempered pocketed coil system that ensures optimal back support and alignment. Winkbed tempers the coils three times to limit the impact of body impressions. The support coils comprise three zones, with the center zone providing additional support for the lower back and hips. Overall, Winkbed has hit a mattress design home run that other manufacturers should try to emulate. Winkbed offers its line of four mattresses on the pricey side of the spectrum. With the average price for a queen running around $1,299, Winkbed charges nearly $500 more than average for its version of a queen mattress. As you can see, buying a Winkbed mattress can put a serious dent in your bedding budget. However, as we have mentioned repeatedly, you do not want to sacrifice mattress quality just to save a few bucks. We think the near industry leading price for Winkbed mattresses is worth the investment. The company offers a 101-day free home sleep trial, which you should not have to extend to the deadline. In fact, you should realize the sleep transforming benefits of sleeping on a Winkbed mattress the first time you test the mattress at a bedding store. The mattress manufacturer offers a generous warranty that proves it is confident in the high performance delivered by its flagship mattress. 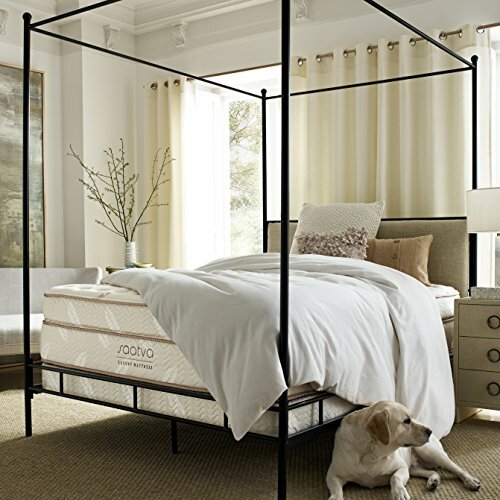 Founded in 2011, Saatva has developed a strong presence in the luxury mattress niche. It took a couple of years for the company to gain marketing traction, but in 2014, an ambitious online promotional campaign began to pay off in higher annual revenues. With revenue growing to more than $200 million in 2017, the luxury mattress manufacturer is poised to dominate its niche. Part of the reason Saatva has achieved exponential growth is the success of sister mattress brand Loom and Leaf. 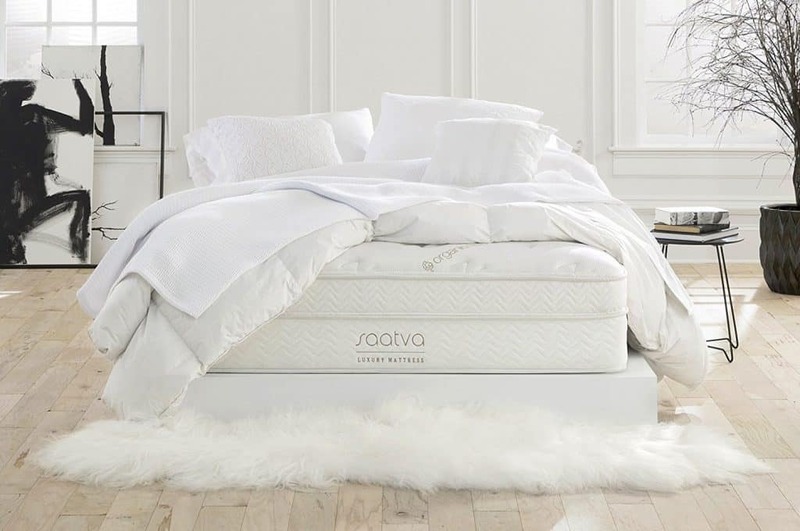 Saatva now has captured the luxury mattress market and attracted customers to the brand that place an emphasis on buying eco-friendly products. The company has its corporate headquarters in Westport, Connecticut. Luxurious feel is the best way to describe the incredible softness of the European-style pillowtop first layer. Designed with 100% organic cotton, the first layer implements moisture-wicking technology to remove perspiration quickly. Hot sleepers should especially love the cooling effect delivered by the first layer. Saatva transitions into a second layer that provides back support to relieve pressure points. Much like the signature Winkbed mattress, the Saatva mattress is an excellent mattress option for sleepers that suffer mild back pain. The four-inch second layer is where we find the fantastic support provided by foam wrapped coils. Innovative technology creates symmetrical contouring around the body to ensure pressure point relief uniformity. Side sleepers that require contouring to maintain spine support will love the Saatva mattress. Saatva completes its mattress layering masterpiece by developing a seven-inch foundation layer. Any sinkage created at the top layer instantly disappears, as the base layer pushes back quickly to help the mattress recover to its correct position. The heated battle between Winkbed and Saatva carries over to the cover. 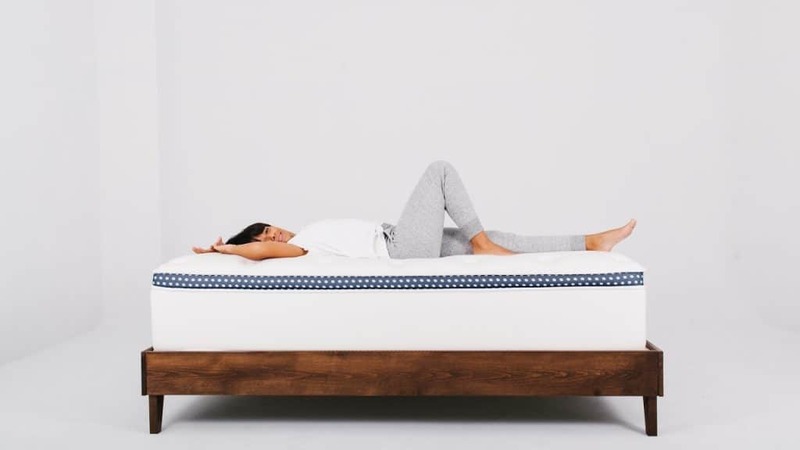 Saatva gives the Tencel Winkbed cover a run for its money, as 100% organic cotton is highly breathable to cool bodies that overheat during the transition from light to deep sleep. The Saatva cover looks and feels similar to the cover designed for its sister brand, Loom & Leaf. European inspired design elements produce an aesthetic appeal to brighten up any bedroom in your home. If we had to flip a coin 100 times to choose the cover designed by Saatva or Winkbed, the coin would probably come up Winkbed 50 times and Saatva 50 times. 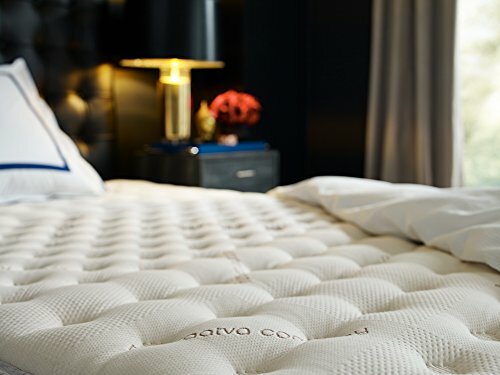 Foam-wrapped coils located between the transitional and foundation layers give the Saatva mattress the amount of firmness back sleepers need to relieve painful pressure points. 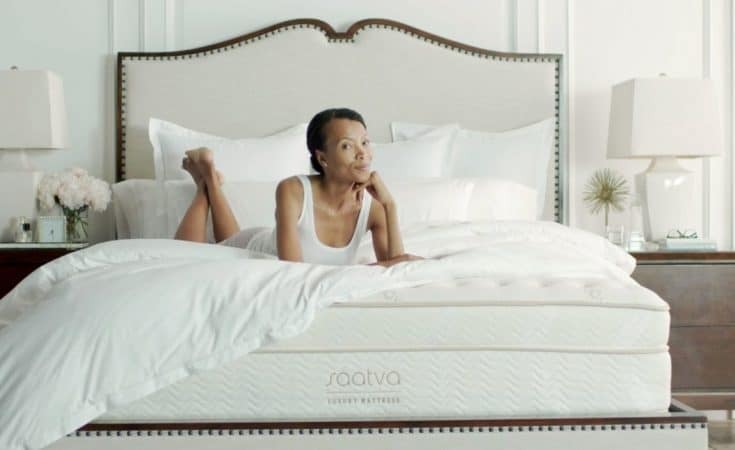 Saatva has transformed the way consumers view the firmness ratings for mattresses. The plush first layer ranks 3.5 out of 10 on the firmness scale. However, the base layer quickly pushes back against body impressions by delivering a firmness rating of 6.5. Combined with firm edge support, the Saatva foam-wrapped coil mattress is also ideal for side sleepers that require spine contouring. The plush first layer contours around sleepers with what Saatva calls a “supportive embrace.” With the plush middle yielding to a much firmer edge, the mattress should appeal to a wide variety of sleep preferences. We have started sleeping positions near the edge, as well as in the middle of the mattress. Our tests confirm the Saatva mattress should appeal to consumers that sleep in multiple positions throughout the night. Research has shown nearly 75% of consumers prefer mattresses that rank between four and seven on the firmness scale. The Saatva mattress represents one of the rare mattresses that attract a wide variety of sleeping preferences. Saatva prices its line of mattresses close to the same price points offered by Winkbed. A twin mattress costs $599 (Check out the latest price here! ), while a queen runs close to $1,000 and a California king almost tops $1,400. The difference between the two mattress manufacturer price points is Saatva charges a shipping fee of $99 and delivery takes about a week longer than it does for a Winkbed mattress order. However, you do not have to pay sales tax when you buy the Saatva mattress. Saatva provides a 15-year warranty with each mattress purchase, as well as a generous 120-day free home trial. Foam-wrapped coils. 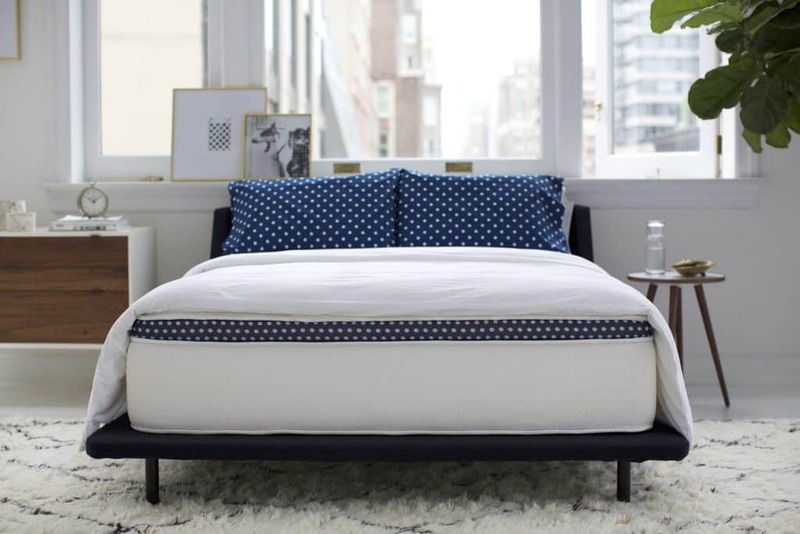 When it boils down to deciding which mattress delivers a more restful night of sleep, you have to give the edge to the foam-wrapped coil mattress offered by Saatva. A firmness rating of eight for the Winkbed mattress limits the sleeping styles to mostly back sleepers in search of pressure point relief. On the other hand, the Saatva mattress appeals to a wide variety of sleeping positions, which makes the mattress the best choice for sleepers that move about at night, as well as consumers that change sleeping positions as they age. Although you cannot go wrong buying the Winkbed mattress, the Saatva mattress is simply the better choice at around the same price points. We believe the mattress buying process involves a series of sequential steps that start by performing extensive research. This comparison article is an excellent place to start researching Winkbed and Saatva mattresses. We also encourage you to read the other comparison articles we have written about other mattress brands. Customer review sites provide you with insight into how certain mattresses perform. Just remember you want to base any mattress buying decision not on one customer review, but numerous customer reviews emphasizing the same points. The information presented by bedding industry experts completes the research phase of the mattress buying process. No other mattress buying tip is more important than the tip to test every mattress on your short list. You want to get the feel of a mattress in different sleeping positions, as well as different sections of the mattress. Online mattress shopping works only if you are ordering the same mattress from the same manufacturer. Five minutes per mattress should be enough to streamline the list of potential mattresses. Research demonstrates most consumers can determine whether a mattress meets their sleeping needs within the first five minutes of lying down on a mattress. You probably do not have an image in your head of a bedding sales representative haggling over the price of a mattress with you. Yet, with a price tag often exceeding $1,000, negotiating the price of a mattress can save you a significant amount of money. Although the manufacturer or retailer might not budge on price, you might be able to negotiate extra free features or more favorable financing terms. The best time to reap the financial benefits of negotiating mattress price is at the end of each month when sales representative must meet sales quotas. What is Tucked within the Fine Print? Mattress purchase agreements are not as detailed as the contracts you sign to buy a car or home. However, you still must read the entire agreement to ensure the manufacturer and/or retailer has not added hidden fees and surcharges. There might be confusing language that voids the mattress warranty or unexpected limitations placed on the free home trial. You also want to know how the mattress retailer or manufacturer handles returns. Do you receive a cash refund or does the retailer or manufacturer credit your balance towards the purchase of another mattress? This is an important point since if you return a mattress, chances are you do not want to conduct business with the retailer or manufacturer to purchase another mattress. Winkbeds vs Beautyrest Black: Our team preferred the Winkbeds in this comparison, as it’s significantly cheaper with more perks. 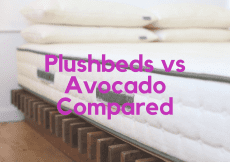 Plushbeds vs Avocado Compared: Which Should You Buy? Casper vs. Yogabed – Which Should You Buy? 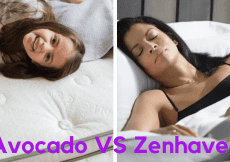 Avocado vs Zenhaven: Which is Best?